Two dopes give it to you straight! Happy New Year Chicago! "Uncle Bob" DePalma and I would like to thank our clients, friends and families for making us Top 5% Producing Realtors in the Chicago Association of Realtors again in 2010. We'd also like to thank our brokerage Prudential Rubloff Properties and our Managing Broker in Lincoln Park Darlene Little for their support. Our resources truly make Prudential Rubloff the premiere Chicago and suburban real estate brokerage to work with. We promise to continue to get dirty in the world of Chicago real estate by growing our team and resources even larger for 2011. If you want up front, blunt and experienced advise dealing with buying, selling, renting, renovating and refinancing your property in Chicago's North Side please call us. We are regular guys making a living providing the best advise to save you time and money concerning your real estate transactions... in the best of times and not so best times. We treat your property (and financial decisions) like our own and are available anytime for consultation before and after your transactions. We've been there! We are Eric Rojas and Bob DePalma, Realtors at Prudential Rubloff Properties. Thanks for over five great years of blogging and sales! Bob passes these row houses almost daily. The last McCormick Row House to sell was earlier this year at 845 W Fullerton; a dated four beds, two full and two half-baths home with 2 car parking for $950,000. Owning a Lincoln Park row house affords a rare opportunity to live amongst and preserve history at the same time. Thousands pass and admire these particular historic row houses at the 800 block of West Fullerton Avenue each day but few can say they ever lived in them. It is impossible to pass these homes on your commute and not feel you are in a special city. Check out this informative video by YoChicago.com taken some years ago of the McCormick Row Houses and surrounding area. Warning: You may get a junior high flashback watching this video with Joe's voice-over! The McCormick Row House District is a group of houses located in the Lincoln Park community area in Chicago, Illinois. It sits between the east and west parts of DePaul University's Lincoln Park Campus and is independent from the school. They were built between 1884 and 1889 and used by the McCormick Theological Seminary to gain rental income. They were designed in the Queen Anne Style by the Colton and Sons architects and joined the list of Chicago Landmarks May 4, 1971. We love a great front door around here and these homes do not disappoint! Row homes at Howe and Dickens: Lincoln Park or San Francisco? The nineteenth century corner row house shown in the photo below recently re-sold for $1,2500,000 this past summer. Bob had to stop and snap this photo of row homes that transported him to San Francisco... if only for a moment! North Howe Street from West Dickens (overlooking the south end of Oz Park) to West North Avenue is no stranger to classic row homes catching over a million dollars. Still a bargain compared to San Francisco's real estate market. Although, we must admit daydreaming a bit while avoiding certain death by ice on a 20 degree day! 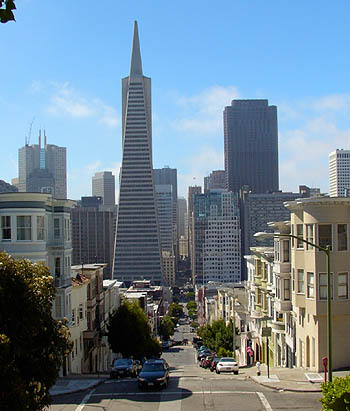 Beautiful cityscape view from row houses in San Francisco. Read more posts on Lincoln Park HERE! Doggie day care has never been better. Check out Pooch Hotel in Lincoln Park for day care or an overnight stay for your BFF when you are away. 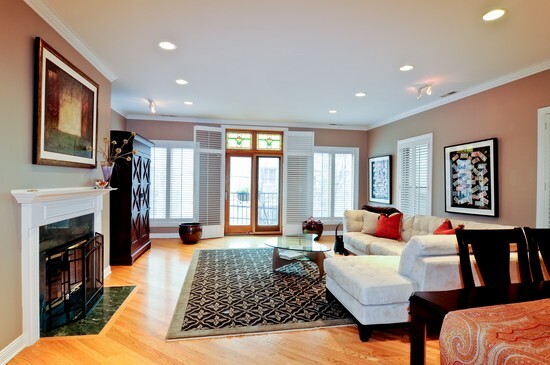 The Lincoln Park neighborhood offers an array high-end and niche amenities at your doorstep. The community and businesses meet the needs of discerning home owners... thus keeping the neighborhood as one of the most popular and most searched for real estate in Chicago. Waiting for "spring market"? It's now baby! 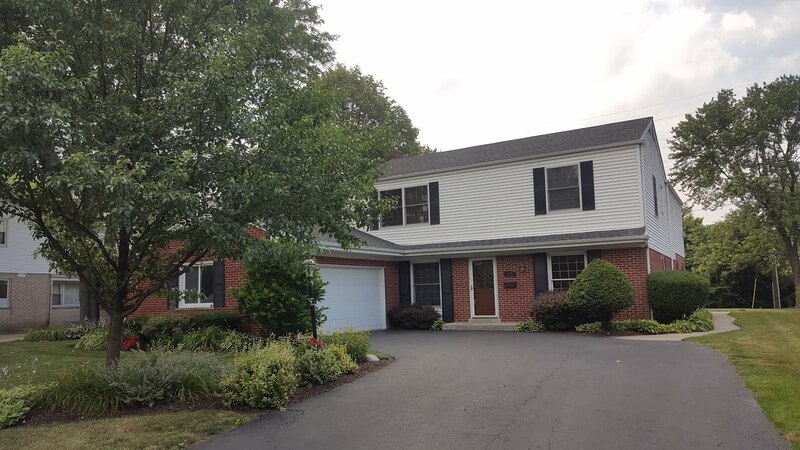 Mary Umberger wrote a timely Sunday Tribune article with home selling advice from nationally known real estate trainer and consultant Steve Harney. One of the most common questions my business partner and I get as Realtors is "When do I put my home on the market?". Even many agents have to ask this question! We always advise clients and consumers to ready their home and place it on the real estate market as soon as they know they want (or need) to sell. No timing involved now... just do it. 1. You are only one short sale away in your building from affecting your condo or house value. A neighbor's distressed situation will put pressure on overall pricing. 2. Sell while things are quiet. If the situation is stable on your street or in your building, it will be more attractive to buyers. A condo special assessment, loud new construction nearby, more selling competition... these and many more factors will make it harder to sell. 3. It can take longer than you think to get show ready. If you know you want to and/or need to sell, contact us now to put together the quickest route to the market. 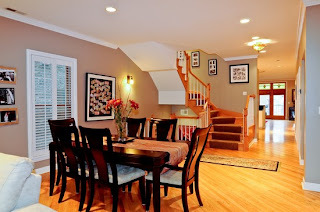 Repairs and staging time can delay you from catching a buyer and moving on sooner. We create specific plans for each situation. However, it's better to sell when you know the factors rather than when there are surprises later. A good example is when I sold my own home earlier this year. I should have put my home on the market in the beginning of 2010 (when I was aggressively looking for a single family house and while the buyer's tax benefit was in effect). I waited to list my home for sale until I found another house to buy consequently losing money on my sale when things slowed down after the credit incentive expired. Here's a little Christmas cheer from our family to yours. Thank you to our clients, neighbors, friends and associates for a fulfilling year in what is a difficult time for many. Christmas in Chicago is a wonderful thing... few big cities do it better. Enjoy the snow and the quiet on a holiday that shuts down most business for at least one day in the "city that works". We have our own little traditions here in Chicago and we hope you make your traditions here too! ZooLights at Lincoln Park Zoo runs through January 2nd... and it's free! A walk in the snow tonight through Lincoln Square for Midnight Mass (well, 10:30PM these days). 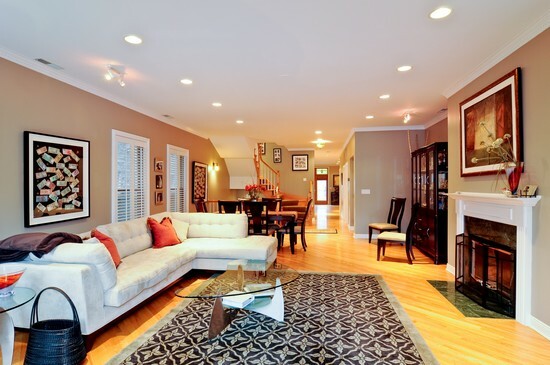 This gorgeous Lincoln Square greystone conversion on the 2100 block of West Wilson Ave will satisfy the purist! The landscaped over-sized yard next door (where once stood a home earlier this decade) was surely a coup for the owners in this pricey location. This classic home combined with the open space is without parallel in the neighborhood! Click here to view all our House of the Week picks! 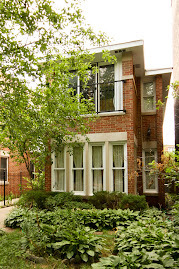 *In Lincoln Park 2010 thus far, 14 "land" deals closed or are under contract. In 2009 10 total land deals closed for the year. *In Lake View 2010 thus far, 9 land deals closed. In 2009, only 5 land deals closed. We've been writing all year about the increased amount of land and rehab properties selling this year in many of our core neighborhoods. People are taking advantage of the market conditions to build custom homes. We are also seeing speculation single family homes hitting the market again within a year from the land, tear down or rehab purchase closing. The numbers above reflect real estate marketed as land in our local MLS. This does not include the many homes marketed as single family home "tear downs" as best use but were not listed in the land category. 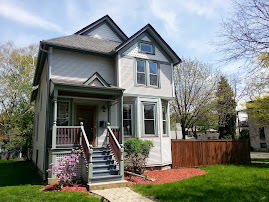 Click here for more information and posts on Lincoln Park real estate! Views down North Lincoln Avenue in Northcenter from a penthouse condo. At this date, 34 condos (including attached townhomes) have closed fourth quarter 2010 and another 40 condos are under contract in the Northcenter community area of Chicago. In 2009, 57 condos closed, so it should be pretty close to that number by the end of the month as we figure half of the condos under contract will close (get that tax write-off people!). The median price for closed and under contract condos in Q4 2010 is about $374,500. The 2009 median price for a closed condo in Q4 2009 was $362,000. So, Northcenter median price should be up a bit by year's end. The increased median price this year is helped by the high end pending contracts of 1800 W Grace, a large loft conversion project with basically "build your own loft" options. It remains to be seen how the development as a whole will do. The decent unit number sales must reflect that market conditions are getting too good for some buyer to pass up. Q4 2010 closings and contracts are competing with the closings of November 2009 that qualified for Federal first time buyer tax credit incentives. We see people getting better deals on the relatively higher price points, thus pushing the median up. The tax credit really pushed the lower end inventory in 2009. Here's a photo earlier this year of the skating rink being erected at Clark and Waveland in front of Wrigley Field in the Lake View neighborhood. It's easy to warm up at one of the many bars and restaurants in Wrigleyville after falling on your can a few times. Spend a whole evening right here... Sprout Restaurant or Via Carducci for dinner, Small Bar for craft beers and soccer before or afterward. The Western portion of Lincoln Park seems to be having a business boom... old and new hot spots are clustered along West Fullerton Avenue at Southport. These popular bars and restaurants in Lincoln Park's West DePaul neighborhood raise the sophistication level, making the West Fullerton corridor a busier and more festive destination than ever. Expect a line on the weekends at Faith and Whiskey located at Fullerton and Southport. See more posts on Lincoln Park HERE! 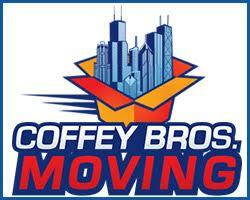 Crain's Chicago Business Today interviewed me this week concerning home affordability. The major indexes show the Chicago home affordability index at it's best levels since 1999. Thanks to reporter Lisa Leiter and Producer Danny Ecker for the great segment. 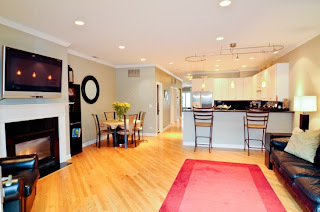 It was filmed at our home sale listing at 4152 N Lincoln Avenue in Northcenter, Chicago, a three level two bedroom, two and one half bath townhouse style condo with two car garage. Call us for a showing. For more of our videos, click here! We've been talking a lot about land and tear down deals this year. 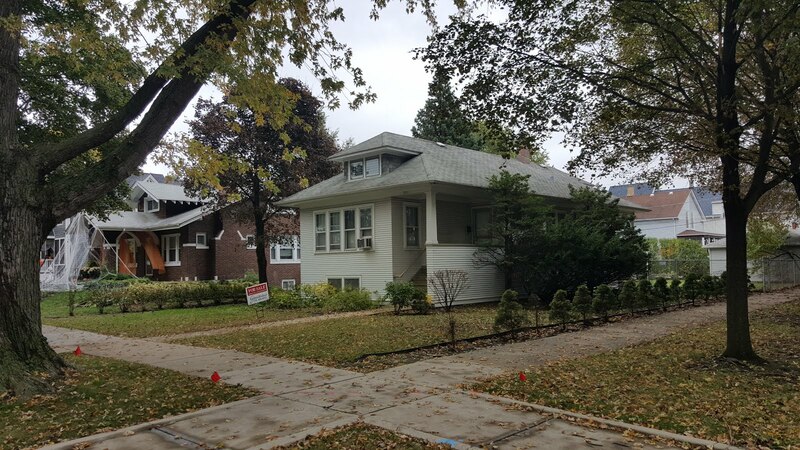 Just last week, a double lot with a tear down two-flat listed on the MLS (50ft x 173ft) at 4533 N Seeley went under contract with an asking price of $849,000. In the near future, this will be a luxury home on a desirable lot. Lincoln Square is really becoming a destination to find land for custom home builds for upper bracket buyers. It seems like things are rolling along at a better pace at the highly anticipated Lincoln Square Athletic Club. I took this photo last week before the exposed areas were boarded up due to bad weather on the horizon. The pre-sale office across the street is now open too at 4657 N Lincoln Avenue. Here's an update story discussing the opening in the first half of 2011... it's from "Yahoo's associated content" in which many of it's contributors don't cite their sources or credit their photos...like when they use my content for example without citing me. So, call the LSAC people for updates. We got in before the Holidays! Crain's reports that the local home affordability index has reached the levels of 1999... a key home buying year Bob and I had identified as "advantageous" if you are a seller now. The story also states that (still) no one is buying...oy vey. It is clear, as the Crain's story suggests, many people who'd like to buy or sell there home and buy a move up home simply can not due to financial circumstance. The problem to us on the street is that many who can buy with decent down payments and or qualify for appealing low mortgage interest rates have a confidence issue. 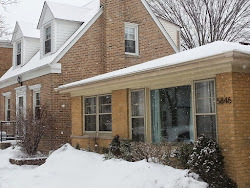 In any event, my wife and I bought a single family home in Chicago this year in our neighborhood of choice because of the these favorable market conditions. We had a need for our family and wanted to graduate to a single family home. We are advising our clients to at least look at single family homes, two flat and three flat multi-units as an option even if they initially contacted us to view and purchase condos. Most consumers do not realize that they have more options for housing types and that lending is NOT that bad. Most of our real estate transactions this year, including my own that involved buying another house prior to selling my existing home, had smooth financing. The lending process on single family and small multi-unit dwellings have also been smoother than condos in general. 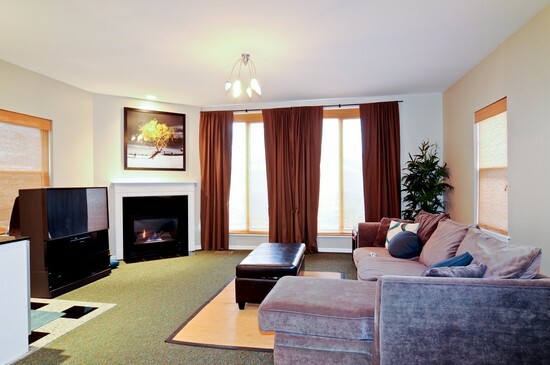 We still like condos as an alternative to renting and living under a landlord, especially the amenities and low maintenance lifestyle for busy people condos can afford. But we also like to point out the possible affordability of owing a house or building many consumers are unaware of. Ha. Here's a pretty ramped up case from our new BFF Ali Velshi to buy a house right now. NOW! Does he have his house on the market? Basically his point is you'll get a "great deal" because prices are pretty much at the bottom coupled with low interest rates. There have always been lots of reasons for buying, owning, renting, or living in your parents basement...you know. But now those decisions are compounded now by the end of real estate as a hobby, the job market and fear of further slides in pricing. It's back to real estate as "where you live". Mr. Velshi here makes a good, if not well played and obvious distinction of buying a home now as an investment versus a home to live in. He thinks in some cases though...it still can be both. I agree depending on the type of home and location in Chicago. My business partner Bob and I have been asking clients in our Chicago markets of Lincoln Park, Lincoln Square, Wicker Park, Lake View and Northcenter to consider buying a single family home or multi-unit. We think buying these properties well under median prices for the area (and beat up) will prove to be nice primary residences and even good "investments" with a little work. Those with less fear of the future and a need for a home now can do well financially on this type of buy (myself included). Some of us are just not in a position to consider renting. We have families and/or don't want to be at the mercy of absentee landlords and bad tenant choices. 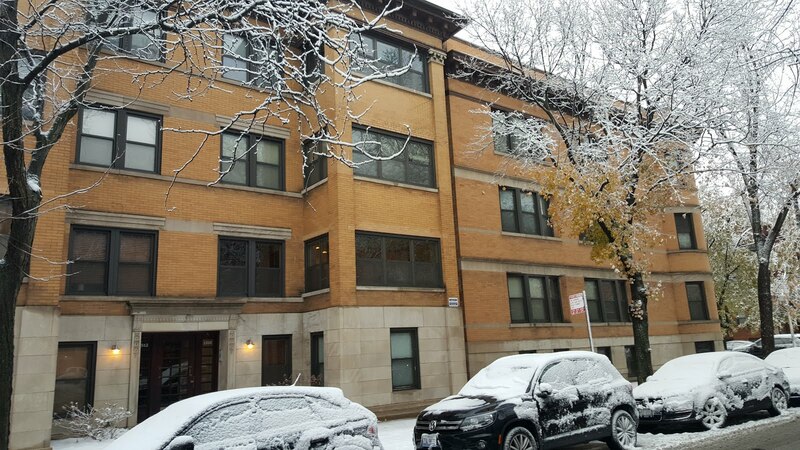 We don't want to move if the landlord of our rental changes gears (see Rahm Emanuel's renter). Some of us want to live in certain buildings or locations where buying is a better choice than rental options for our lifestyles. Some of us want to customize homes. Whatever the reason, the best position you can be in is this: Have a need and a want to own a home... and a couple bucks. With this scenario in many neighborhoods of Chicago, you can probably have a home you like and possibly get a return when you sell too if you're willing to do (or hire someone to do) some work. With all the talk about Prince William, Kate Middleton and the House of Windsor, I thought I'd take a look at our own Windsor Avenue. Here's a gorgeous corner residence at West Windsor and North Hamilton in Chicago. 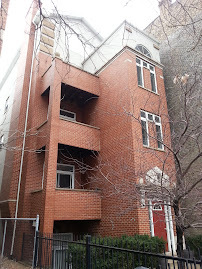 Here's a few photos of a "short" one block section of West Windsor in Lincoln Square. It's easy to miss; the street doesn't continue until North Sheridan Road by the lake in Uptown to the east or North Rockwell Street to the west in Albany Park. However, the homes are rather distinct with some being quite grand. Turrets are a reoccurring theme on this little block of Windsor between North Hamilton Avenue and North Leavitt Street. The block also has a touch of newer construction represented here at the corner of Windsor and Leavitt. Then, there are a handful of old homes transplanted from a Bavarian village. 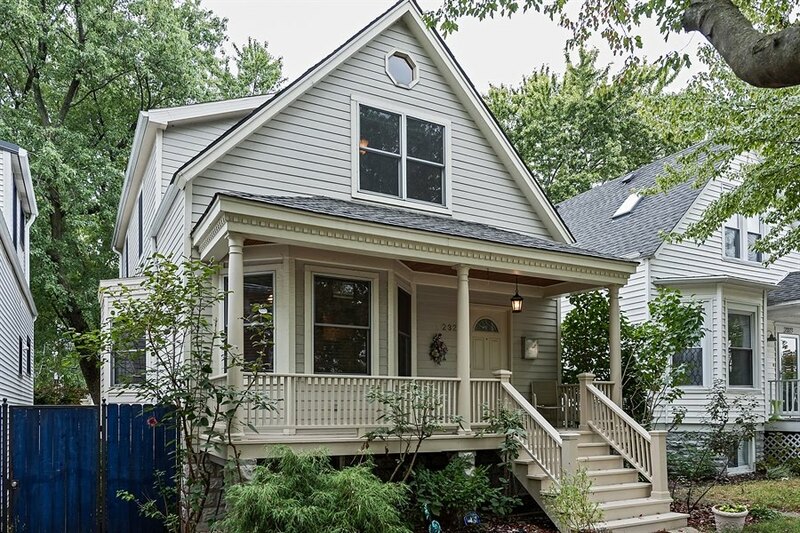 Ah, and here's a traditional and representative beauty for the neighborhood with an inviting front porch on Windsor. 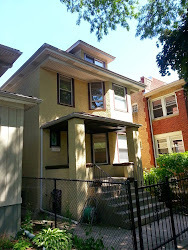 Speaking of Royal riches, 2173 W Windsor, a newer construction single family home built in 2000 on a 37ft X 122ft lot, is currently under contract at $1,249,500. The year isn't over but we're getting a jump on our local analysis before "we shop till we drop"! We look for interesting insights that you may find, well... interesting and insightful. In Lincoln Square, it's all about East vs West. 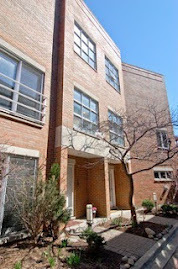 * Thus far in fourth quarter 2010, only 9 single family homes have closed in the Lincoln Square community area. However, 20 homes are currently under contract or pending closing. It is likely at least 10 of those homes will close before the end of the year. Since 2004, we've averaged about 19 closed homes in the fourth quarter so we think we'll be right there for 2010. * EAST vs WEST: The median price of the nine closed homes is $475,000 for the entire Lincoln Square community area. If we include all homes under contract and closed, the median price dips to $430,000 (it's bargain season). 2009 fourth quarter had a median price of $475,000. 2010 is a reflection of "rehabbers" once again eating up houses... so lending is available for these folks (like us as a matter of fact) to either buy and or/fund the renovations. Expect to see a crop of completed gut rehab homes in Lincoln Square sprouting in spring and summer. 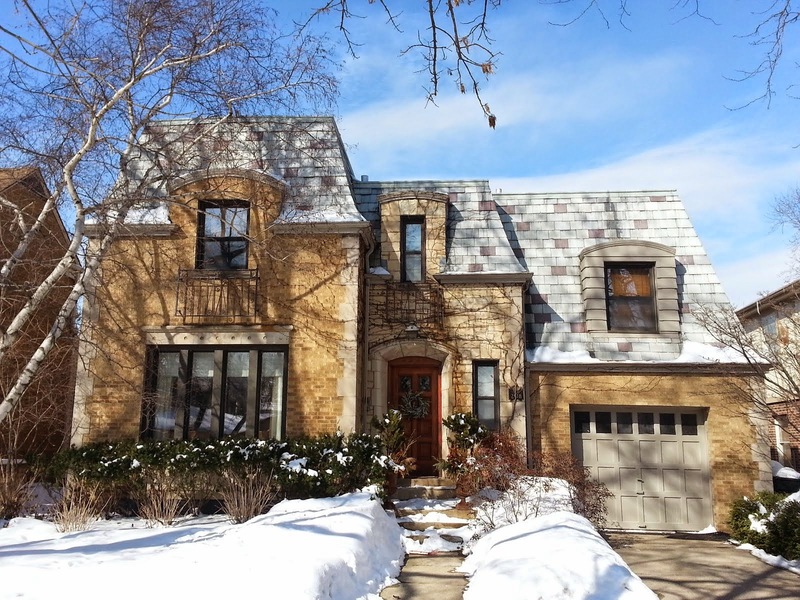 * However, the median price of closed and under contract homes in Lincoln Square community area east of North Western Avenue jumps to $550,000. 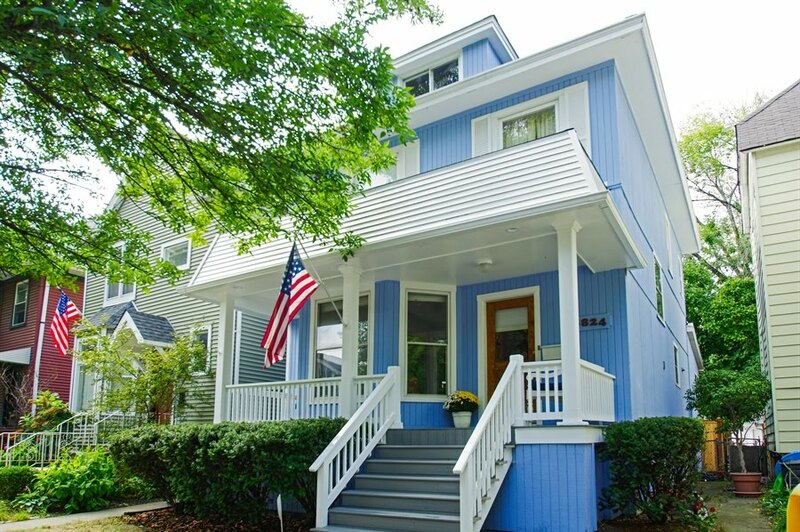 Go west of North Western Avenue and the median price dips to about $325,000. If you need the straight talk about selling or buying a home in this market please call or email us. We will come up with a plan based on your goals, local statistics and our anecdotal experience selling and buying homes. We don't mess around. Data pulled and analyzed by us from MREDLLC.com, our member multiple listing service. True downtown views from the full rooftop deck at 1438 North Wieland Street in Old Town. Available March 1st 2011 (or possibly earlier). Asking $5,500 /month. 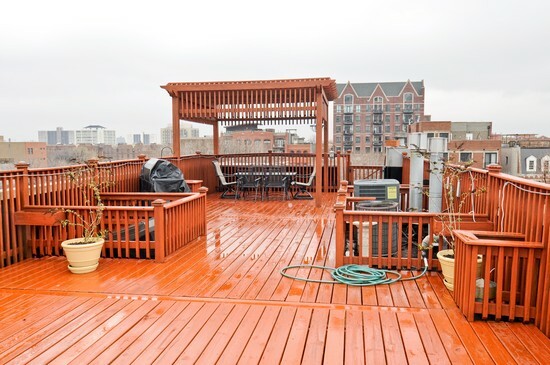 Four bedrooms, four and one-half baths, two family rooms, garage parking space plus one outdoor parking space, private elevator, private roof deck...huge. Please contact me for more information and for a viewing. Great flexible space. Tony address for your lifestyle of dining, entertaining and "must have" proximity to donwtown. Yesterday we pointed out some new construction in the area. Here's a look at the closed and under contract single family homes in the Northcenter community area of Chicago for the fourth quarter 2010. The quarter ain't over yet but considering the Holiday party coma we'll be in, we figure we'd get a jump on things. We always look for something interesting in the stats, and to us, million dollar homes are interesting. * 24 single family homes closed in Northcenter and 30 homes are under contract thus far from October 1st to December 8th, 2010. 30 homes closed in 4th quarter 2009. So, we'd only need to see 7 of those close by the end of the month to surpass the 2009 numbers (which is likely). * Of the 24 closed homes 3 were over one million dollars... however, 16 homes are currently under contract over a million ranging from $1,024,900 to $1,895,000. In 2009, there were 7 total closed homes in Northcenter over one million. I think 2010 will beat that by the end of the year. From our view, we saw an increased amount of "tear-down" homes and homes needing gut rehabs being bought up. The several distressed property sales dropped really low and many old homes were simply able to sell at attractive prices. At the same time, we should see an increase in million dollar homes sold as interest rates were favorable this year and the high-end came down to earth a bit. * The median price is UP. Closed single family homes thus far in 4th quarter 2010 have a median price of $788,500. The lowest home selling for $200,000 and the highest thus far $1,500,000. Median price for 2009 was $762,500 so we'll likely stay above that for the year. I spotted the Tyvek wrap a block away on the 1900 block of West Belle Plaine this weekend. The large frame new construction is absent the "green" marketing we have seen on many north side single family home developments. It looks like they'll have some nice exposure on the west side of the lot. The median price of a closed Northcenter single family home in the last 12 months is $750,000. This will certainly be at the very high pricing for the area between the CTA Irving Brown Line stop and Montrose stop and between Damen and Ashland. In the past year these boundaries have had only two closed homes. 4357 N Wolcott, and three beds, one and one half baths home on a great 30x157 lot for $537,500 and a tear down at 1828 W Cuyler for $276,500 (which was tore down and new house is going up now). 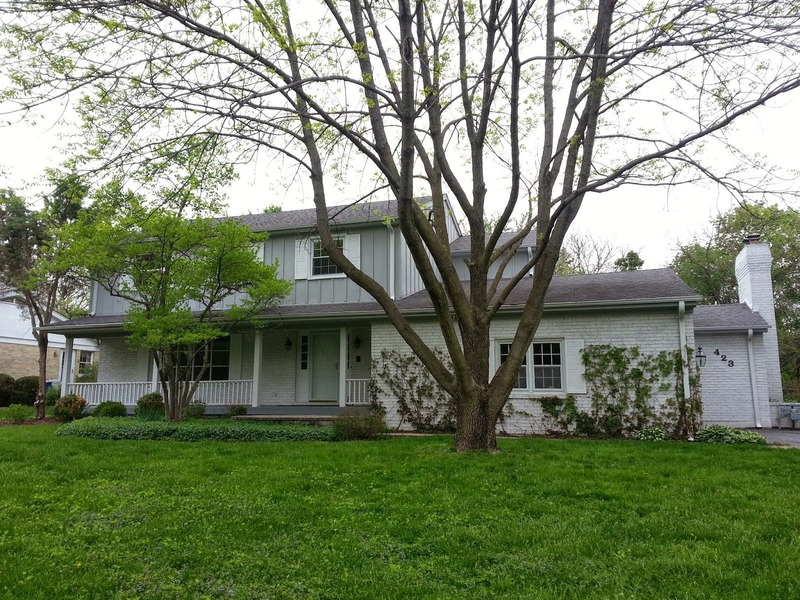 However, the year prior (2009) had much more action with a beautiful home I viewed at 4247 N Winchester for closing for $1,497,000. My guess is the new construction home above (if being sold at retail and not a custom home for an owner) will need to be offered no more than $1,200,000. The permits for home call for a three car garage... that would be great. 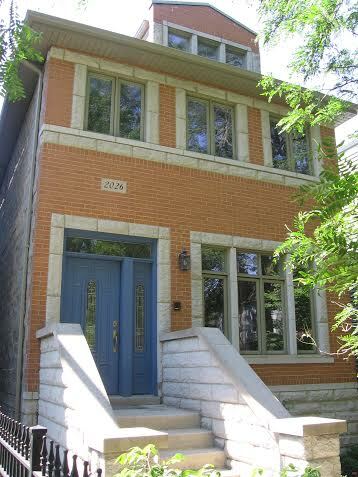 An impressive masonry home a few doors down at 1912 W Belle Plaine closed at $1,350,000 as a short sale in June 2009. 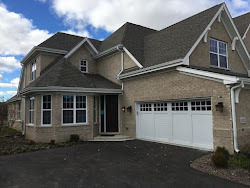 Read about other new construction in the area here! Here's a few photos of last weekend's Christkindl Market and shopping in Lincoln Square. You may have missed the tent party, but Lincoln Square still has one of the more festive shopping strips on the North Side for the holidays. Not to mention a million places to grab good food and drinks! Read more of our Lincoln Square posts here!